Richard E. Blahut: An engineer, teacher and writer known for his work in information theory, Richard E. Blahut has pioneered in the fields of error-control codes, passive emitter location, surveillance theory, signal processing and digital communications systems. His contributions to government and industry have spanned the globe. For 30 years, Dr. Blahut was employed in the Federal Systems Division of IBM, where he had general responsibility for the analysis and design of systems for coherent signal processing, digital communications and statistical information processing. Named an IBM Fellow in 1980, Dr. Blahut developed an error-control code and decoder algorithm used in the high-speed data link for the U.S. Navy's LAMPS helicopter. His error -control codes have been used to transmit messages to the Tomahawk missile and to protect data sent over the public broadcasting network. For the British Royal Mail, he designed a damage-resistant bar code. He was also responsible, while at IBM, for development of passive coherent location systems, a technique now used in U .S. Department of Defense surveillance systems. Currently a Professor of Electrical and Computer Engineering at the University of Illinois and a Research Professor in the Coordinated Science Laboratory, Dr. Blahut has held many academic positions over the last 24 years. He taught at Cornell, where he was a Courtesy Professor of Electrical Engineering, from 1973 to 1994. He has also been a Consulting Professor at the South China University of Technology and has taught at Princeton University, the Swiss Federal Institute of Technology and the NATO Advanced Study Institute. Born on 9 June 1937 in Orange, New Jersey, he received a B.S. in Electrical Engineering from the Massachusetts Institute of Technology, an M.S. in Physics from the Stevens Institute of Technology and a Ph.D. in Electrical Engineering from Cornell University. Today; Dr. Blahut is also a systems consultant to the Ioptics Corporation, contributing to the design of optical storage systems and working on the prototype of a player for a one-inch optical compact disk. 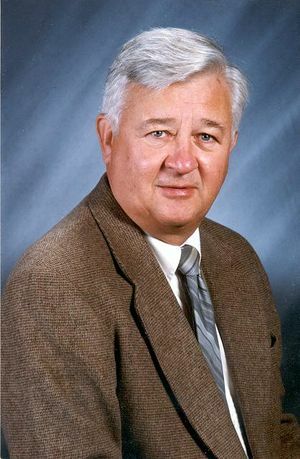 He was President of the IEEE Information Theory Society in 1982 and, most recently, served as Editor-in-Chief of the IEEE Transactions on Information Theory (1992-1995). In 1990, Richard Blahut was elected to membership in the National Academy of Engineering. He was named a Fellow of the IEEE in 1991. Dr. Blahut won the 1998 IEEE Alexander Graham Bell Medal "For contributions to error-control coding, particularly by combining algebraic coding theory and digital transform techniques." This page was last edited on 24 February 2016, at 18:55.